SAVE 35% on black oak while stocks last. 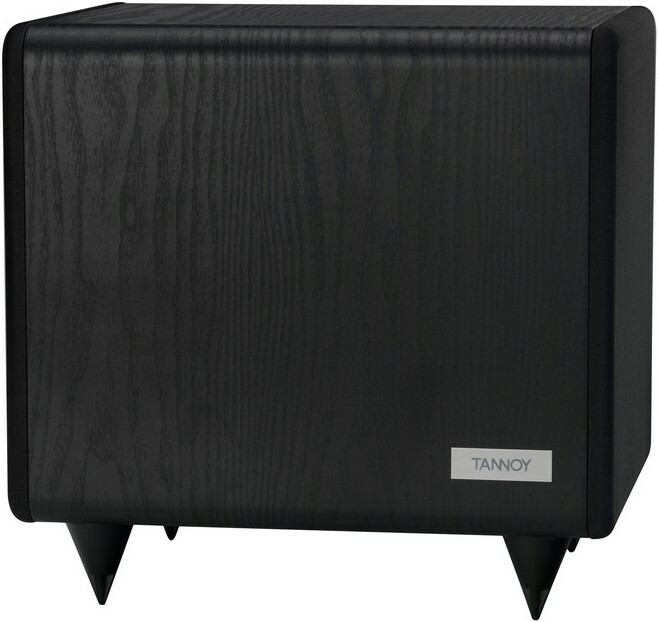 Save over 35% on the Tannoy TS2.8 Subwoofer in black, a compact and powerful subwoofer, with a 200mm long throw driver paired with a 200mm ABR driver mounted in the opposite side. The "B Grade" subwoofers in black may have slightly tatty boxes but the subwoofers themselves are as new and covered by Tannoy's full 10 year warranty. 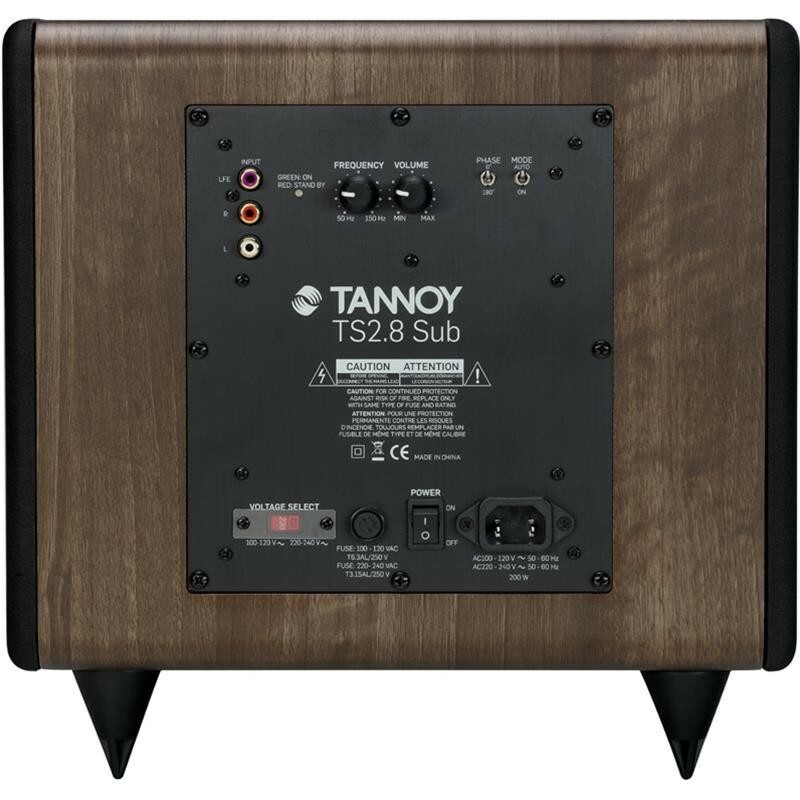 Featuring twin 8" drivers and producing 180 watts of power, the TS2.8 subwoofer from Tannoy delivers a powerful and deep bass response far outreaching its compact size. Rather than using a ported, bass-reflex cabinet, the TS2.8 uses one as a long throw driver and the second as an ABR (Auxiliary Bass Radiator). 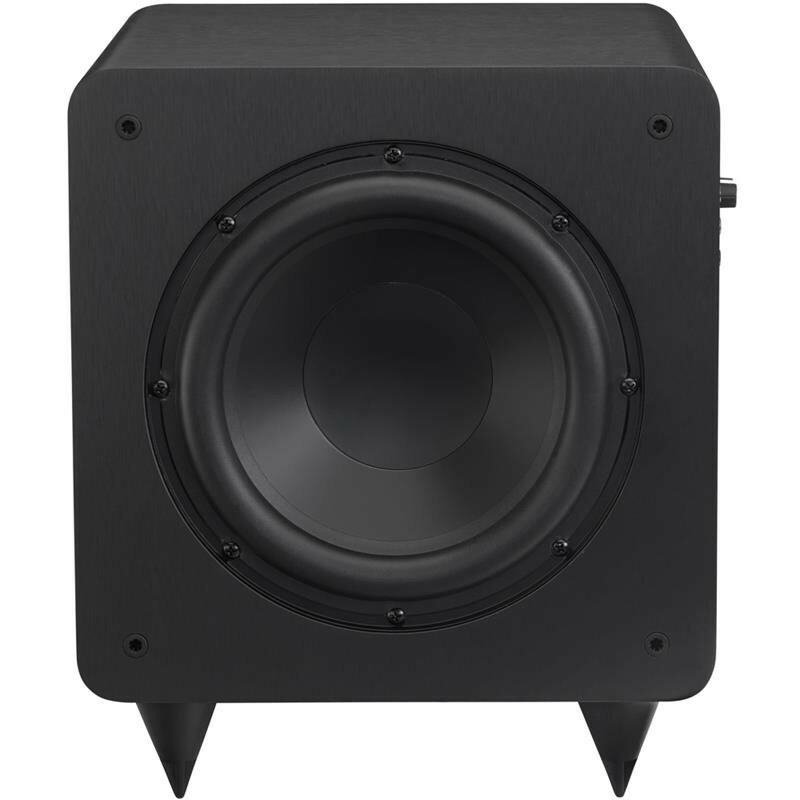 This is mounted in the opposite side of the cabinet for maximum output from the smallest cabinet footprint, not only improving the depth of bass but also makes it punchier and more tuneful - exactly what you want from a subwoofer. Tannoy TS2.8 features an extra-thick, MDF cabinet allowing it to contain the potential vibration and subsequent distortion from two 8" woofers. This heavyweight housing effectively damps potential vibrations and plays its part in creating a taut, punchy sound. With a sleek finish and rounded edges it's also one of the better-looking subwoofers out there. 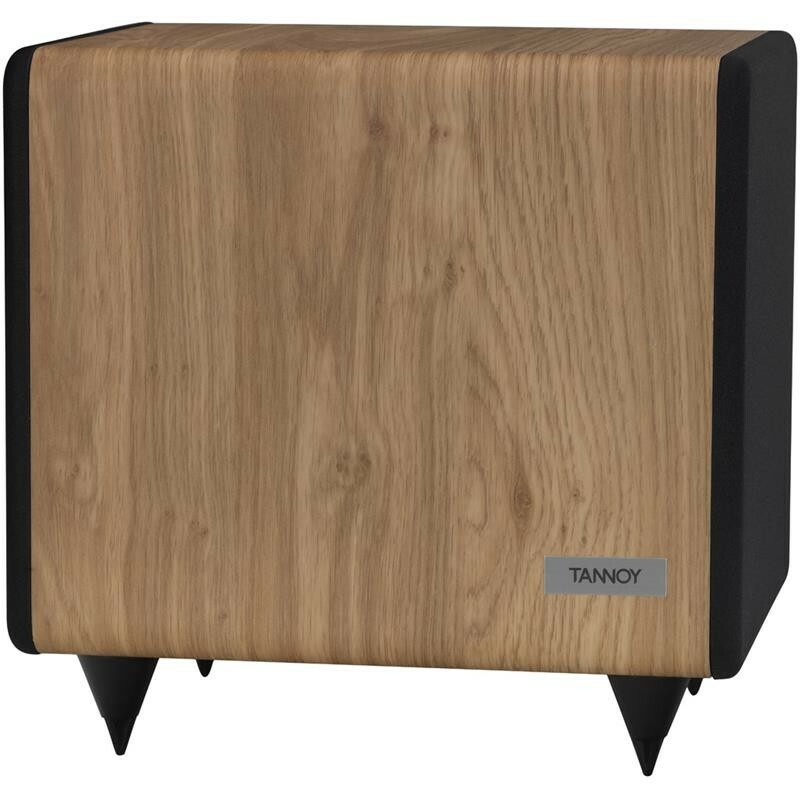 Using the latest in Class-D, digital amplification, the Tannoy TS2.8 offers up to an impressive 200 watts of highly efficient power (in eXtra power mode. Standard rating 100w). It's this effortless urge that helps give the sub its sustained bass and tight control. Rather than using analogue filters, the TS2.8 has a high-speed DSP engine that handles bass management and user adjustments, making the TS2.8 subwoofer simple to set-up. The Tannoy TS2.8 comes with an array of handy controls. An auto on/off feature ensures efficient use of power and also enables the unit to be tucked out of sight. In addition to volume and frequency cut-off controls, the TS2.8 also features a phase control switch. Switch to '0' if the sub is in front of you and '180' if it's behind and you'll be assured of the correct phase alignment with your other speakers. In other words, the bass will keep perfect time with the rest of the music.